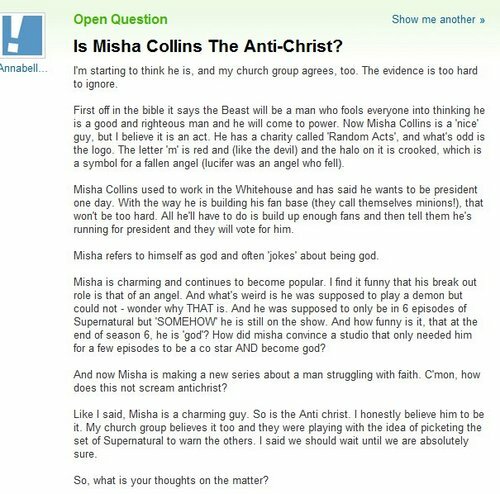 Apparently Misha Collins is the antichrist.... *sigh* Just... *sigh*. Wallpaper and background images in the fanpop FAIL! 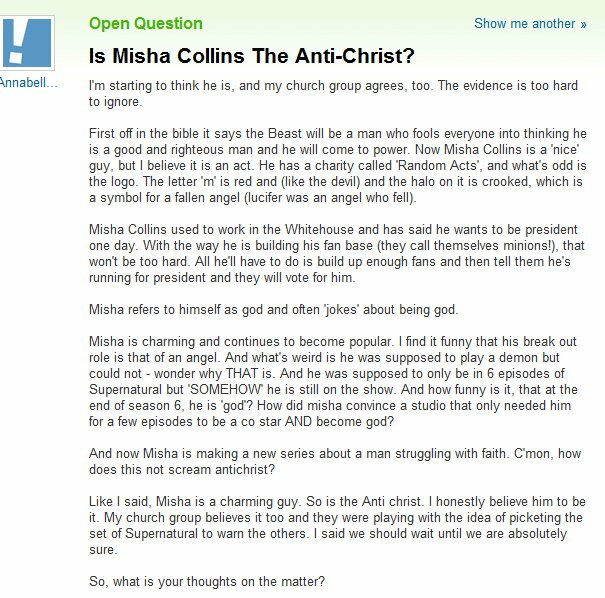 club tagged: fail yahoo answers misha collins stupid idiotic. LMAO! I heard about that. Misha's reaction was pretty funny! Seriously, though, Misha was kept on because the writers write to please the fandom, and Cas was pretty much an insta-hit. And Misha was a good enough actor for them to allow it. OMG This is what give Christians a bad name. @BlindBandit92- They say that the biggest cause of atheism in the world today is Christians...and people like this guy cause it. "So, what is your thoughts on the matter?" That you and your congregation are delusional oafs.